I absolutely love that Zoho Invoice has a free, full-featured plan. The only thing that it does not included is a custom domain and you are limited to invoicing no more than 5 customers at any given time. I also cannot get over the fact that it works seamlessly with Zoho Inventory. As of right now, my business only has two customers that we invoice, so this software and plan is a perfect match for us! The only thing that I dislike about Zoho Invoice is that there is no way to auto-arrange the invoice lines alphabetically after they've been entered. This would be an added convenience, however given the other advantages of this software, the absence of this feature is not noticeable. Zoho Invoice is just one of many in an entire suite of solutions provided by Zoho! Check out all the other services that Zoho provides - like Zoho Inventory! When I initially had a need to invoice a customer, I ran into the problem of not having a professional-looking invoice solution. I tried using templates for Microsoft Word, etc. but these definitely had limitations. Aside from that, other invoice solutions plan pricing was through the roof. I am glad that I found Zoho Invoice as it gave me an appropriate and quick solution. "We comply with the financial management of our company with this software "
Zoho Invoice has been a business solution for our finances. Initially we had a very old way of processing payments and doing follow-ups, where we depended a lot on certain workers to be able to manage the finances of our company, however, when we started using Zoho Invoice these problems were solved. This software has been a great solution to our financial problems in our company because the entire process of invoicing and payment tracking is systematized, just by adding the service being provided and tabulate the price of each of the services and issue the digital invoice, which is already estimated with the national tax. In addition to this, Zoho Invoice places reminders to each of the invoices that are issued and when they should be canceled, this is an idea not to forget or miss any payment, and finally Zoho Invoice not only offers the issuance of the invoice but also offers us several tools to make detailed reports of our billing and thus know which has been the financial and fisca performance of our company. It's a software that when you start using and you see all the good things it offers you don't stop using it, and that's what happened in our company. Zoho Invoice is a software with incredible potential for the management of finances in your company, which I recommend to everyone, is very easy to use and you can manage all income and expenditure of your company without problems. For any business, company or corporation it is very necessary to detail its financial situation, and this software has made this tedious and meticulous work much easier. With this software we have been able to optimize our way of managing our finances in our company, and it has allowed us to be in order with the organisms that control the finances of our country. Eliminating errors in the financial statements of our company is a great advantage that has given us this software. "A very useful software for the elaboration of invoices adding details of budgets and national taxes." I currently work as a senior audit staff, and my role resides in the calculation of both national and international financial statements through accounting, and tax execution through invoices. In search of a software that would allow me to accelerate my work performance and improve my invoice handling procedures I found Zoho Invoice, a very practical and complete software that allows me to make invoices in a very short time taking into account national and international taxes; with this software I have been able to make commercial invoices of my company in less than 10 minutes and before it took more than half an hour making them. In addition to this I can manage the payments of my company, keeping a total control of the accounting of my company and the expenses that are made. This software can also issue detailed reports of the invoices and payments that are made to our company, we can also make budgets with commercial invoices. Finally I can manage the payments of our customers through different web portals and banks, this is very practical because it avoids calling customers requesting payment, or receive cash. To be perfectly honest, this software has not given me any kind of problems that diminish my performance or generate problems in my work. On the contrary, not only me but all my colleagues, we agree that this software is indispensable for the development of our functions as a company, and we only have praise for the company Zoho, for creating this incredible software. All auditing, accounting, administration, tax execution, business establishments and the like must try this software. It is simply incredible the results that you will obtain when using it. You will save a lot of time in the elaboration of invoices, calculation of prices according to the taxes of each one of your countries and many other benefits that you will obtain with Zoho Survey. A software that has allowed our company to take a step forward in innovation and technology in the management of our accounting and marketing through the development of service invoices. Our clients are the witnesses of this business growth that we have experienced, they feel more satisfied with the speed and quality of our work and our workers also feel comfortable using this software. "Zoho Invoice makes billing smoother in retail industry"
The invoice generation speed and the detailing about the tax and custom layout impressed me a lot. Thanks Zoho Invoice for supporting me in billing.Integration and implementation was quite easier and implementable. We use it as a retail solution and makes our day to day billing procedure with zoho and keep track of our accounting procedure every day and got result at the end of the day about the spending and all. Manual selection of print bill makes all things hectic and not easy to manage. quantity check every time also makes process longer. Try to reach Zoho Support if you had any doubts regarding the product use. My billing procedure become smoother and i have been highly benefited from the Zoho Invoice Wonderful Features. First with the hyperdrive the process was quite hectic then i switched to manual but it consume lots of time and effort with leads to me to think about purchasing great billing soolution thats why i came across the zoho invoice. "So simple, yet so useful"
It makes doing invoices very easy. The program gives you some templates that you can edit, so all you have to do is to put the company logo, the default message and a couple more things and that's all. Also, they allow you to save contacts (customers) as well as make recurring invoices automatically, which I find personally very useful. Finally, you can integrate Zoho Invoice with other Zoho programs and exploit synergies between them. I think it is very hard to make a corrective invoice. Luckily I don't need to make many, but every time I have to it is an odyssey, they don't let you apply this invoice to the original one to correct unless there are some conditions. It is really bothering. Zoho Invoice is a very useful program, although it has some mistakes, it is worth the price. We use Zoho Invoice to make invoices here. It works really well thanks to its simplicity and because it is quick to use. "Essential software for my job performance"
This software is one of the best I have been able to link to my work dynamics. Zoho invoice is a qualified software that allows me to issue invoices and budgets in the easiest way. One of the most complete software of the market in this branch, Zoho invoice allows me to emit invoices of the registries of purchase and sale of our company, at the same time it allows me to take invoices of each one of the acquisitions of the company as well as the budgets that our suppliers send us. These characteristics are very good when it comes to making the accounting record of our company. All these features are adjustable to the taxes and deductions stipulated by law in our country, only the amounts of these taxes are added and the invoice is issued automatically with these data. This software also issues reports of each of the budgetary activities, making my work in this area much more efficient. This software is quite performing, I have tools that give my daily dynamics a lot of performance, solving problems that sometimes I had to do manually. Time and money are two variables that Zoho Invoice combines very well, so I have no negative aspects to highlight of this software. Any company that manages accounting records, administration, issuance of budgets, invoices for services rendered and services requested must have this software. I recommend it without fear of making a mistake. Zoho Invoice has been the definitive solution to our rhythm of work. It completely changed the way we work in the office when we have to issue invoices and quotes, and their subsequent pouring into our tax and accounting records. This is software that came to our company to make us better. "Great invoicing software for small businesses"
Invoice templates are great, customization is on par with other software choices. Zoho Invoice is able to integrate with the Zoho Suite, which makes it a breeze to run nearly all aspects of a small business. I do think some features could be improved. This includes text notifications for customers, as well as integrations with more payment platforms (these are fairly limited at the moment). Also, some simple functions like merging invoices are not available. Customer portals are good, but could benefit from improved usability and more features, such as custom document sharing through the customer portal. Zoho Invoice is a great product. Overall, we had an extremely positive experience with this software. It can be of use to nearly any small to medium sized businesses, and the integrations are countless. For even more power and versatility, it can be combined with other apps through Zapier. We use Zoho Invoice for invoicing our customers for a music school. We have been able to cut down on paper usage and complete the invoicing process electronically. Notifications, however, go through an integration with other programs for us, since it is impossible to send SMS message to customers from zoho directly. I like the simplicity of the interface, and the ease of which I can customize my invoices and organize my clients. Its really nice to be able to have everything you need to invoice all in one central location. I like that the interface itself changes based on your personal branding, and that it incorporates that into your invoices, so that your clients see something cohesive and professional. This app saves you time setting up for sure, but once you have your own templates in other editing software such as InDesign or Microsoft word, it makes this platform almost obsolete. The Zoho Invoice software requires an optimal internet to perform its functions to the fullest. We can make invoices and budgets quite easily, adapting to the standards of our country by reason of taxes, unit prices, global prices, and printing personalization of invoices as company stamps, digital signatures and other benefits that make it a fundamental tool in our workspace. "Perfect when you are first starting out in business"
Import and export are simple enough to you. Create your email to send, signature line, etc to meet your needs and keep attention. This is another marketing tool. I am a small home based business just starting out, tried PayPal, Aynax, they are limited and formatting was not good for me. I can integrate Zoho Invoice with other Zoho products, like CRM much easier. Currently I am under the 25 clients, so the service is free, fits perfect into my current budget. I can email direct to client, add expenses per client if required. Overall this has been an easier process for me. The learning curve was quick. "Good and Basic Invoice System"
Very simple integration with payment systems such as Stripe and Paypal. Price is fair for what it does. The interface can get too simple and once you select a currency for a contact, it is fixed and in order to change it, you must delete the whole contact and repeat through the process, a very big hassle, also there is no clear way to send automatic follow-up invoices. Better options might exist out there, however, for a basic and quick way to get your online payments up, Zoho invoice will get the job done. It has helped to take payments online and provides a fast-no frills way to conduct international business. "Its all True. This is the best application suited for a new business and more"
Everything about this software, its everything you might need. - Tailored to our needs as if its a customized solution. - Can add you own logo and create your own invoice the way you like. - Tailored to your country, in my case Australia. I haven't found anything that I don't like. - Helped me as a new business. - If there is a problem, customer service is always there..
Actually, what I like best about Zoho Invoice is not Zoho Invoice itself but the possibility of integrating it with all other Zoho applications, which allows you to have several different departments together in one web page. But strictly speaking of Zoho Invoice I like its ease of use. You practically don't need any guide or somebody to teach you because it is super easy. Another aspect that I particularly like very much is the fact that you can do your invoices as you like, they provide you with different templates that you can use, but you also can create your own. In conclusion, it is a very useful and easy program, that moreover gives you a lot of freedom at the time of creating invoices. Not much, actually the program works very well and has minor mistakes or problems. If I had to say something I would say that I don't like the fact that I can't erase an invoice once it has been sent. It is true that doesn't make any sense to erase a invoice after sending it but it could have been a mistake, and then you can't just erase it, but you have to make a corrective invoice. I strongly recommend other small enterprises to use this software to do their invoices. Is not only that is easy to use, but also that you can combine it with other Zoho extensions, which gives you a lot of functionalities in only one program. With Zoho Invoice we do the invoices of our products when we sell them. Since our selling volume is not very high, we can afford losing time by doing them manually. This is fundamental for any enterprise, so obviously we needed a program that could do it. Zoho Invoice covers all our needs. "The final destination of mine for Invoicing "
The best feature for me in Zoho Invoice is the recurring invoicing feature. That feature easy lets me timely send invoices to the clients. Zoho invoice also offers a nice invoice template and that looks more professional, clean and simple. Automated reminders keep me update about all due payments and driven invoices. Client contact keeping also not much difficult with Zoho. Zoho invoice's estimate feature is a great tool to when we are dealing with clients as a freelancer. Zoho also supports multi-currency, that is a great feature to be international. And in the perspective of payment gateway, South Asians are unable to use stripe. But Zoho invoice gives the feature to integrate 2checkout as the payment option. Therefore we can easily make the invoice into online payment form. Other than that Zoho invoice almost supports all platforms as a mobile app including windows phone. Zoho Invoice is a service that has no issues for me but prefers if they can let collaborate more team members for their primary plans. Zoho Invoice is a great tool to start a business when advancing Zoho let integrate accounting with Zoho books. This tool is good for entrepreneurs who have big dreams. 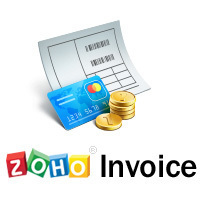 Zoho Invoice covers most of accounting and client payment handling part of my business. "Zoho - A Proven Suite"
Zoho checked all the boxes for us as a startup in a recession economy. Growth would be slow, so costs would have to be carefully managed. Zoho allowed us to begin invoicing right away - professionally and portable - for free. The interfaces for desktop, mobile, tablet have little to no learning curve and ran reliably on basic broadband and even mobile edge where 4G wasn't available. Right away we were administratively functioning which left us time to focus on business development, growth and operations. As per our use, its worked on every browser and mobile platform with no loss in fidelity of the layout. I honestly don't have any dislikes at the moment - and I am using the free subscription, with intentions to upgrade in 2017. There is enormous value and functionality in the product at a free level. Just try it. Its fast, light, portable, comprehensive and feature rich. Its ideal for startups that may be outsourcing their financial accounting and just needs solid invoicing and crm. As you grow, subscribe and expand the feature set. Don't worry about he cloud. I use it every day and its always been available. If you have any paranoia about that, there's a backup feature as well to download your data and you can export to XLS, CSV and PDF,.. I've been able to expedite invoicing electronically and reduce paper. By scheduling report generation, Zoho emails reports - pushing useful data to us periodically. Many customers appreciate the option of viewing their invoices online. Adding inventory/sale items can happen at invoicing on the fly if something new is offered to the client. The dashboard gives great at-a-glance business intelligence. This software has been a lifesaver to me and I can't praise it enough! Also, I can't begin to explain how great it is having mobile apps that you can actually work with! The software is very easy to use, feature-rich, and doesn't require you to be an accountant to use it. It strikes a perfect balance between usability and simplicity, so it's great for freelancers and consultants. The Windows Phone app is way behind the Android app in terms of features and usability. It needs some work to achieve parity with Android. Perfect for freelancers and consultants. I was looking for something that was simple to use but not lacking in features. Also, I needed a mobile app as much functionality as the the desktop version. After a very short time, I realised that Zoho was a perfect fit for me. It's simple to use, full of features, the mobile app has all of the key features, and there's almost zero learning curve. "Zoho Invoice increases cash flow due to efficiency and flexibility for service based businesses"
The ability to start and stop the timer on each project that I work on throughout the day eliminates the loss of billable time most service based providers struggle with due to lack of tracking. With the zoho invoice app on my android I can not only start the timer when I arrive at a meeting but I can also stop the timer and within a few more steps generate and email the invoice to the client before leaving the meeting. This allows for much faster collections. Zoho invoice also provides very informative reports, allows for invoice reminders and also allows for invoices to be automatically generated on a recurring basis. Zoho integrates with several other services to allow for electronic and credit card payments. Zoho also gives you the convenience of at a glance review of outstanding receivables and income generated. Accessible with smartphones, tablets as well as cloud convenience of logging in from any computer regardless of location. I would like the timer to be a on click access on the app home page for android as opposed to the drop down list it is currently in. There is no offline access option to my knowledge, however I have never had an issue with having internet service and with phone service the system is still accessible via the phone app even if no wifi or internet access is available. Highly recommended for service based business owners who need the ability to easily track and bill for time and expenses on the go allows owners to spend less time tracking and more time generating! On the go convenience for tracking time and invoicing clients is a major benefit in improving and maintaining stable cash flow for businesses. Thank you so much for reviewing Zoho Invoice! With regards to the timer function of the Zoho Invoice Android app, you can set the opening screen to display the feature of your choice. This is available in the 'Settings' section under 'Opening Screen' option. You can either set the Zoho Invoice app to open with the 'Log Time' screen where you can select the project name and task and start the timer, or you can set the app to open with the 'Slide Menu', where you can choose the appropriate module you wish to access. If this is not what you were looking for, can you please send us more details at support+mobile@zohoinvoice.com? We'd love to help. Generating an invoice, tracking payments, reminding clients has a;ways been a pain for the accounts & sales team. Zoho invoice is such a great tool that it helps you creates professional invoices from multiple devices (desktop, tablet, mobile) in just few seconds. Also it can generate invoices in multiple languages. (1) If you set the auto-reminders on for your clients, all the clients get notified for pending payments in case payments made by few of the clients is not recorded in the system. (2) The real-time analytics on sales, expense and tax summary is not very insightful as compared to other industry products. Zoho invoice is a great tool with features designed to make your invoicing hassle free. In our B2B business, we need to send invoices for the services rendered to them. Zoho Invoice is helping us to generate those invoices in approximately no time. The invoices looks very professional and contains full information. "Excellent package for businesses of all sizes"
I have been using zoho invoice for over the past year for my relatively small business, i originally decided to trial this product as they offered an on-going free and basic account which allowed a maximum of 5 clients in 2014. As i only had a small handful of clients I didn't need to upgrade and was never force into upgrading. As my business has slowly grown i am now reaching out to more clients. I decided to review my options on my invoicing/accounting software. I looked at products such as quickbooks and xero, i quickly learned that their pricing was way more than i was willing to part with. Certain features also had hidden costs such as additional apps. I decided to review the zoho packages and realized that they had now raised the maximum client limit to 25 on free accounts. They have saved me an unnecessary expense and I am extremely grateful to them for helping out smaller businesses such as myself, there is no doubt in my mind that nobody offers a similar free service like zoho does. I basically have full access to most features that upgraded accounts do. My experience with zoho so far has be been clean cut, simple and a pleasure using their interface. Needless to say that i'll be sticking with zoho for the long run and as a I grow my business i'm sure i'll be upgrading. As of this moment i have nothing bad to say about zoho, considering i'm using their product for free and so far i'm loving it. It's a simple to use software with a great free account service. Perfect for new businesses. I was a new business and had to learn the ropes with invoicing and keep track of payments as a sole trader. Zoho has made my life easier with fantastic customizable features!
" Zoho is such an amazing Company ever, some times i think they are non profit organisation." Most of free services like free e-mail account through own domain, free website builder, free social network in one place, and awesome services!! There is nothing i dislike from Zoho every thing is just the way they meant it. Zoho is such an amazing Company ever, some times i think they are non profit organisation when it comes to their services, free website, free email free social etc, all these makes my non profit archive its goals and dreams, Thanks so much Zoho for no string attached service keep it up!!! I run Non Profit organisation, when it comes to non profit organisation you find there are some limited service given by web host and providers where much fund is needed to host your website and have a professional service, but with zoho, i have enjoyed free service no string attached that's why i was able to published a stunning website based on my own needs and the customers and donors. "One Stop Solution for all invoicing needs. Great Experience." The fact that the products takes care of everything - tax, guidelines, format, currency. The platform is self serve and accountants can use it so swiftly makes it the default choice. Zoho invoice is brilliant. It is simple to use. The paid plans offer a wide range of features and the fact that the invoicing system takes care of everything including Tax guidelines and format - you can directly ship these invoices to clients. We have been using this for over 3 years now and the experience has only improved. Great product. Can't do without it. We are building a user engagement platform for businesses. Our target audience is any one and everyone with a website. This means handling 100's and 1000's of invoices on monthly basis. Zoho solves that exact problem for us. We operate in 2 geographies and zoho ensures that we are able to service our customers appropriately. "Great for invoicing and expensing, no frills"
I like the customer portal - works great for my needs and my customers find it easy to use. I don't like the timesheets and projects at all. They're confusing, hard to use, and just not user-friendly. Be careful trying to integrate another project management system while using Zoho Invoice to bill. It can get pretty confusing. I needed an invoicing software with a payment gateway. This has given me a way to accept cards, paypal, and even bank transfers. This is great for general inboxes I use for travel. I can customize and use a lot of features for my needs. Not able to get it exactly how I need it. Need more plug in play options. Not very easy to use had to play around a lot to figure things out. Be prepared to have to figure things out and it may not do exactly what you want. Allows me to individually bill families for their group trip. It could be customized to your company needs, we use it as a Shared service center tools, were we unify all of our customers in 8 differente countries. capability to be adapted to differente countries, we are in 7 different countries and we are able to operate with this single system. We are capabale to run reports for our enterprise company from a single tool. Thank you for reviewing Zoho Invoice. We are sorry to hear that you had a not so great experience with the support team. We are always trying to help our customers with their queries and we are sorry about the bad experience you had. We assure you this won't happen again. Please feel free to send a mail to support@zohoinvoice.com if you have any queries in the future, we promise we won't disappoint you anymore. The best part of Zoho Invoice is that it takes so very little time to use. It took a task that, for our company, averaged 10 hours a week and brought it down to 1. Amazing well designed tool. It's as if everyone who made had spent the last 5 years managing a small business and they built the tool that they wanted. There really isn't much to dislike. If I were forced at gunpoint to pick something it would probably be no way to accept direct ACH payments. But that's just a matter of not having the right payment processor integration, not really a failure on Zoho Invoice's part. The easiest way to evaluate Zoho Invoice is to go ahead and commit to managing a few clients through it. It's well worth the time. It handles 100% of our client invoicing, billing, payments, overdue notices, statements, inventory, and project expenses all while looking very clean AND at an extremely reasonable price. "It's How I run my Freelance Business"
The Zoho Invoice Suite is a beautifully designed package that works great on Desktop and Mobile. It keeps me running, sends out automatic reminders to my payers that are beyond their custom set terms, and keeps the cash flowing with recurring invoices. This is how I run my business, without it I would be lost. Sad no? I would like to see an improvement to allow recurring invoices to pull in hours worked on a project since the last recurring invoice. I bill for web hosting, and for time worked, when my 6 month recurrence comes around, it's tough to combine the recurring charge and the project related hours charge other than some manual work. Sign up for Zoho Invoice and remove a whole step of manual invoicing, worry, and pain. Life is better, and for the errors that it catches that I WOULD HAVE made, pays for itself EASY. I have more than one invoice template for different areas of my business. Simple and focus on the right features. I like the look of the app and the integrations they provide. Pricing is correct and I believe it's cheaper than most other options out there. The application is very stable, until this moment I did not have any issue with the availability of the services. That it's not for free but I think it's worth every penny! There was a bug when generation pdf's but they solved this so no complaints here anymore. If you are looking for a simple and complete invoice system, Zoho Invoice is the right choice. I recommended it to several other people and they are still using it and they still thank me for the advice. I also wrote some integration with other systems so that they could make the switch more easily. I deliver IT services to companies that don't have the knowledge in house. Thank you so much for giving us a great review! "Zoho does have it all"
It's free for up to 25 customers so it's good for new startups. Once you need to handle more customers you can easily upgrade, for a fee though. It has lots and lots of settings so you should be able to tweak to fit your needs and your company. There's also some nice looking invoice templates to choose from, all for free. There's also custom settings for taxes etc so it should work in all countries. There's also very good support for online payments, currently 9 different online payment solutions are supported, including PayPal, Stripe and WorldPay. It takes awhile to get started and setup. The installation process takes a long time to complete, but on the other hand, once it's completed you're good to go. On the other all the settings are needed, so it's hard to do it faster. Take your time to go over the settings so you don't miss anything important such as taxes etc. You don't want to send out invoices with the wrong tax settings. Also don't rush the other settings, there are plenty of them, so it takes a good hour to get started. So be patient and don't rush it and you'll probably be fine. 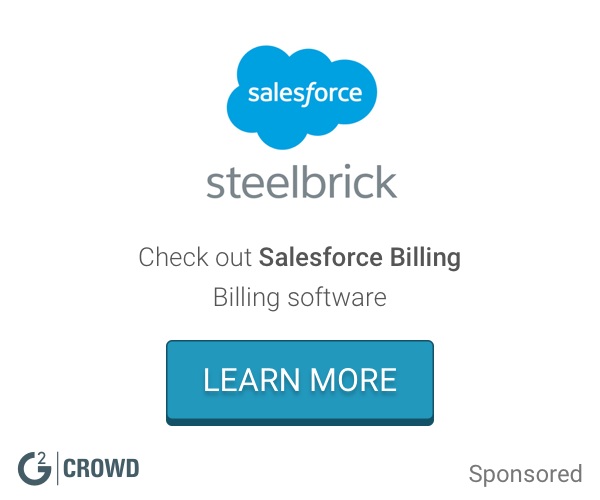 A free invoicing tool is always great for a small company. I'm currently using two other invoicing tools as well and deciding which one I should go with. With Zoho I do get the best support for online payments though. Thank for giving us a really nice review! We really appreciate it. Would you mind dropping us a mail to support@zohoinvoice.com and letting us know what issues you had faced during the initial setup? We always look for ways to improve our customer's experience and any feedback/details on Zoho Invoice would really help us do that.
" Great and easy to use on small projects and at scale." As well as the simplicity and functionality of Zoho Invoice itself I really like the fact that Zoho offers a whole suite of complementary tools including CRM, Mailing, Forms etc. Google Apps integration is also very useful. I dislike the fact that while income is fully measured and detailed my colleagues and I have yet to take advantage of the expense reports. It's like ripping a plaster off - better to do it quickly! The templates are initially more US focussed (we're in the UK) but a bit of tinkering and they quickly match up. Better grip of accounts for one. As a creative start up, a full time accountant was never going to be one of our first hires so being able to do a lot of the leg work ourselves takes a lot of the pain from handling taxes and keeping an eye on margins. SImple to use, is very straight forward. They have a free version, good way to try their service. Customization for edge cases is very limited. Lets say your invoice requires some special notes like currency exchange information, you won't find this kind of things built in, though they have custom fields. I can't create workflows on the app, the API should be used. Try the free version, they have expanded the free version up to 20/25 customers so many small business/designer shops will be able to use it for free. I was using OpenERP before but was too complex for us so we were looking for solutions. We tried freshbooks but the API was stalled and no further enhancements where expected on that end so we tried zoho and we really liked it. We're working on improving our API documentation. We will definitely include complex examples as well. With regards to adding currency exchange information on invoices and creating workflows, could you send us more details at support@zohoinvoice.com? This would help us understand your requirements better and possibly suggest a solution. "Super useful - fully featured - perfect for the small business person"
I like that it's a reasonable price for software that's constantly improving, even though what is already there is great. Definitely stream lines a lot of the admin stuff of having a small business. There's a bit of a learning curve. Sometimes settings aren't obvious. But nothing that is anywhere near a deal breaker. Just do it. Spend more time doing what you like about your business. And when you need to, you can really dig deep in the software to see all your metrics. I am a one man operation. I am often too busy for entering receipts or other things that I used to have to do with other software. Now I do that on the go as it happens, so I'm always on top of it. "ZOHO Invoice - simple, fast, economical"
I like how easy it is to set up an invoice. Just create a customer, enter a few lines, and click "save and send." DONE. It is a very intuitive, user-friendly online invoicing system. I love it! I hate that I have to pay for it! In the land of "everything is free online, amirite?" land, paying a few dollars a month for something seems foreign. But I more than make up for it with Zoho. In other words, if I didn't use Zoho, I'd be reluctant to create an invoice (I would, I just wouldn't like it - I used to use QuickBooks, and now I don't)...with Zoho, I'm done in less than 30 seconds. Jump in feet first - I love ZOHO Invoice! I hate "paperwork." I like that I can send an invoice via email and my customers can pay via PayPal or check. Just a quick note: we recently changed our pricing plans, so that business owners can invoice more customers from around the world. In the Free plan, you can now invoice 25 customers in multiple currencies (previously 5). In the Basic plan, you can invoice 50 customers in multiple currencies (previously 25). You can refer to our pricing page (https://www.zoho.com/invoice/pricing/) for more details. "Easy to use for invoicing and time keeping"
Painless learning curve, easy to use, low cost for basic functionality and it's cloud based. When I first started using Zoho Invoice, I could start invoicing after 15 minutes of entering my company info and my first client. The fact that you can try the software for free for the first 5 clients is a bonus and made me switch to a paid subscription evenyually. If you plan to use Zoho Invoice for plain invoicing and basic timekeeping, I can recommend it: good value for money. However, if you need more functionality for your timekeeping and expenses than you will probably need to sign-up for more Zoho products. In that case you might find more bang for the buck elsewhere. I wanted a cloud service that allowed me to do simple time registration, use that time registration to create invoices in a simple way and keep track of my expenses. As my company grew, I needed to look for something more elaborate. Zoho Invoice helps take care of the accounts receivable part of your business. You can try Zoho Books- online accounting software, to manage and organize both your accounts receivable and accounts payable. You can create Bills where you can add multiple items with the corresponding VAT rates. Thanks to this software, I can keep track of my income generated and also provides me with a system to share my transactions with my clients. I would like the integration of a collection system by Zoho, which has the facility for users to generate a payment according to a code generated by the system. I have been able to make invoices outside my office from my smartphone, it is a great advantage due to the quick response I can provide to my clients. "Beautiful and great report features"
I love the clean look of the interface. I love how I can tab from field to field unlike the last invoicing program that I used. I also love how friendly the support staff is when I have questions. I love how easy it is to customize the invoices. I don't like the fact that it's not easy to add a second contact for one company. The instructions listed in the help file don't mention how to add a second contact. I've emailed support to get help, but it should be easy to have more than one contact when needed. They have a free trial so you should give it a shot. You have multiple invoice templates to choose from. The reports are great. You get a lot for your money. You can also set up multiple ways to accept online payments. One benefit I found from using it is that it's easier to back-date expenses, invoices, and payments when compared to my last invoicing program. This is going to make it much easier at tax time. It has a lot of great reports. It's extremely powerful (even at the $15 level) but also easy to learn. I feel like my invoices look nicer and so does the customer log-in. I think that enhances my business image. Thank you for reviewing Zoho Invoice and also for providing helpful feedback! We will definitely look into displaying the option to add a secondary contact more prominently. Meanwhile, we will update this information in our help document as well. If you need any assistance, please feel free to write to us at support@zohoinvoice.com. Zoho Invoice is a clean, easy to understand program with a simple user interface that does everything it says it will do (and more) reliably and consistently. In addition to this, Zoho has a customer support team available through chat that is top of the line, so any question you have is answered immediately and thoroughly in a friendly and polite manner. There is nothing I dislike about this program. If you're looking for something simple and easy to use that will integrate with your payment gateway, this is the way to go. Rest assured it's a robust program with zero glitches or peculiarities. And if you have a question, customer support is there via chat to answer your questions quickly and politely. I'm very happy with this program. Zoho Invoice makes it easy for me to track my business. I can quickly set up a personalized invoice, send it off, and track it. Data is readily available and I can sort it easily and efficiently into the reports that I need. Its a very good software, which can make your work life much easier. Ideal for business for generating tax invoices. "Invoicing and Estimating for Freelance WordPress and Web Development"
Quickly generating estimates and invoices with stored, common services. Keeping up with receivables. Customizable templates for various emails and forms. Keeping track of my expenses. The customer portal. And it's reasonable cost. There are a lot of options, which can make it a bit overwhelming and easy to lose things. There are a lot of other products offered by the parent company, so there's a small amount of up-selling here and there. Take the time to add the products and services you offer. It'll make estimate/invoice generation much quicker. Mostly bookkeeping. If you're busy it can be a lot of trouble to keep up with documentation and billing as well. "Robust tool fit for small and large invoicing needs"
I'm a very small business and only need to send out a few invoices a months. I was very positively surprised by the features on Zoho invoice and the ease of use. It allow a great deal of customizing. There's more there than I can take advantage of right now but am happy to know that I can grow into the features. For the first time in a long time, I have a much better handle on my billings and receivable. It has also made doing expenses so much easier. And, it will make tax time easier too. Highly recommend it. there's nothing I dislike, but would like a little more a info and easy of use on all the customizing features. Clear, accurate invoicing and receivables. I now have a great dashboard. Could you please let us know how we could help you customize the settings for your business? We would love to assist you. Please drop us a line at support[at]zohoinvoice.com. We will get right back to you. Zoho invoice solution is ideal for a business that wants a separate invoicing solution. I use many of the features. Mobile apps are very useful too. Most aspects are very suitable for my needs. Invoicing! The mobile apps really assist me with client invoice queries when I am out of the office. The platform is easy to use and keeps track of multiple client invoices. For my purposes, Zoho is just right. I am a freelancer with many clients and the platform is exactly what I need. Perfect for freelancers who need to invoice multiple clients. I have been able to go paperless for all of my invoicing needs, and I am able to keep track of my income. "very happy with the product - does everything I need, would'nt change a thing." 1. It has all the modules necessary for a small consulting / service provider like myself to be able to invoice customers, store contact information, and track time and expenses easily. 2. With the cloud and mobile modules, all of which behave very similar, I can do what I need to do from anywhere, whether at my office, or on the road. 3. It has been designed to be able to easily figure out things like adding a logo to invoices, and to easily generate invoices to customers, and to keep track of what is unpaid. So far, I have not found anything that I dislike about zoho invoice. I would highly recommend this product to other small consulting businesses (in my case financial and accounting consulting services). In fact, I have already recommended it to an associate of mine. tracking work time for billing customers, miles driven, andbeing able to invoice my clients. "Zoho Invoice for easy time management and invoicing with Stripe"
Zoho Invoice is my one tool for managing time. I start a project by creating an estimate via Zoho, once the estimate is accepted I turn that into an invoice against which I log my time. I can easily create customers and assign specific tasks to them. Zoho allows me to time my activities with the built in timer once the tasks are assigned. The tool is flexible enough to allow for different setups by customer from pay online (I integrate with Stripe) to 30 day billing to recurring building. I have yet to run into a scenario that I could not handle via Zoho. Once my payments are received after the work is done, Zoho closes that invoice and I am on to the next. The archiving, in my opinion, is a bit lacking in that I have to manually archive items whereas I'd prefer the ability to create an archiving rule by customer. I save time logging, managing and creating items from estimates to invoices. The templates make things much quicker than creating each time. Thank you for giving us a nice feedback. We would like to know what type of archiving you would like. Could you please send us a few details on your requirements at support@zohoinvoice.com? We will look into it and get right back to you. "New user but love it"
the ability to have our clients emailed for late payment. The trial is great. They even let you send out invoices before you have to start your subscription to make sure you like it before subscribing. It's feature rich, offers lots of customization options, and their support is helpful and fast. I used to use Freshbooks and have noticed a few features that I got used to that Zoho doesn't have. One of the big ones is email open tracking. Permissions for additional users could be a little more flexible too. They offer a solid free plan, so you can take your time getting to know it and migrate at your own pace. It's a great invoicing and payment solution. I use it with Stripe. It's time-tracking features get the job done, but are also a little limited. The desktop time-tracking app could especially use some attention. "At last I've found a invoice system that works for my complicated country taxes!" All system are easily and friendly and the taxez managemente is the best! None at moment! All is just perfect! I've no found something that dislike! Test it and you will love it! In the latest years I've tested at last 4 invoice system, and at last I found one that easily manage taxes. In my country there are several complicated taxes and with Invoice from Zoho I can manage it easily. With others system I couldn't! "Simple invoicing software for a great price"
Simplicity, price, many useful features, native credit card support ! Test it to check if it supports all the features you need. If you miss one critical feature, Zoho will not implement it : the solution is not evolving a lot. I needed a simple and inexpensive way to quote and invoice customers. Zoho does it perfectly. I love how easy the software was to use and learn. Before being introduced I never had any experience with Zoho's invoicing software but after a quick tutorial, it was like I had been using it all along. There wasn't much I can complain about with Zoho Invoicing. The only thing that i could possibly say was that when I was using it, my pages would freeze and I would lose everything. But with that being said I dont know if it was my internet or the software its self. Free up from the paper invoicing jail. I love not having paper invoices, I am able to send invoices, and save them to electronically file away. Thank you for reviewing Zoho Invoice! With regards to the pages freezing, could you please send us more details (from your registered email ID) at support@zohoinvoice.com? This would help us analyze and solve the issue if any. Easy to make Estimates And Invoice. It can be edited very easily. And the Mobile application of Zoho invoice is an awesome with the app can create invoice at the customer site and email it right away. With zoho invoice my business standard rise from startup to a corporate level. Cant work offline its the only thing i doesn't like. and cant make photo of bills that we paid. With Zoho you can step in to the corporate level. when we go for work on site, after finishing the work i have to call my office to make the bill and send it to the Clint. no i can do it myself that is the best thing i loves in zoho. "Great free online invoice management"
Inexpensive, you can get quite a bit with the free edition. Easy to use and manage clients and invoices through their online interface. Ability to track time. Ability to invoice a client and have them pay via PayPal. The user interface sometimes can be a little confusing, it could be simplified. If you are looking for an invoicing app that you can use on the go and price important, this may be the app for you. Quicker payments from clients when they can pay me via PayPal. * We monitor all Zoho Invoice reviews to prevent fraudulent reviews and keep review quality high. We do not post reviews by company employees or direct competitors. Validated reviews require the user to submit a screenshot of the product containing their user ID, in order to verify a user is an actual user of the product. Hi there! Are you looking to implement a solution like Zoho Invoice?